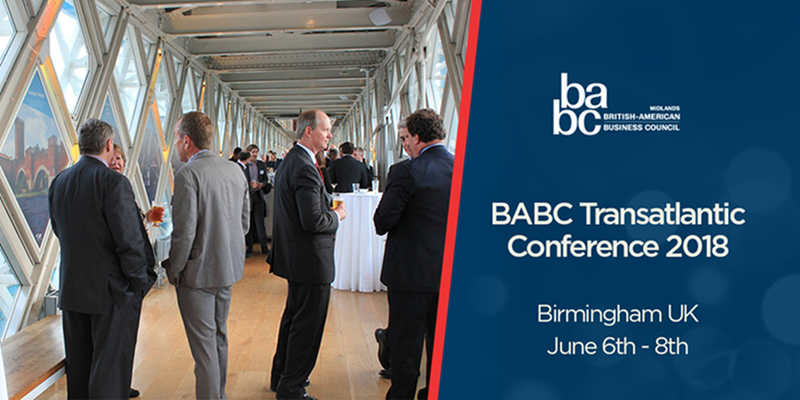 We are delighted to announce that the BABC Transatlantic Conference 2018 will be held in Birmingham, United Kingdom, on 6th – 8th June 2018. Join us, discover and expand your transatlantic business network. Get 20% off if you book through this link.